Sean Szymkowski November 16, 2018 Comment Now! It's not often that an automaker's concept vehicle makes its way out of the auto show circuit's bright lights and into private hands. 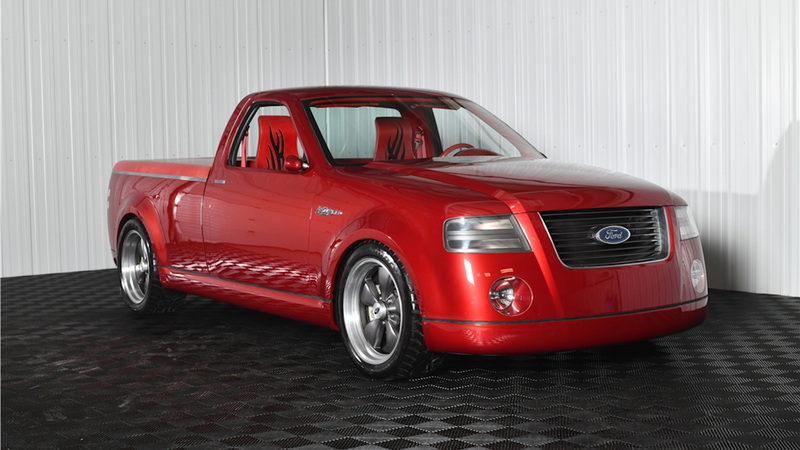 The 2001 Ford F-150 Lightning concept is an outlier, and it will soon head to auction. 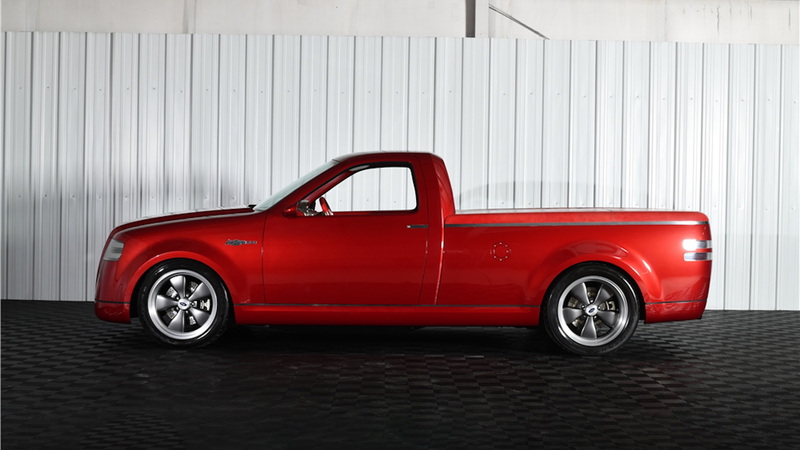 Barrett-Jackson has taken the F-150 Lightning concept on consignment for its Scottsdale auction in January. 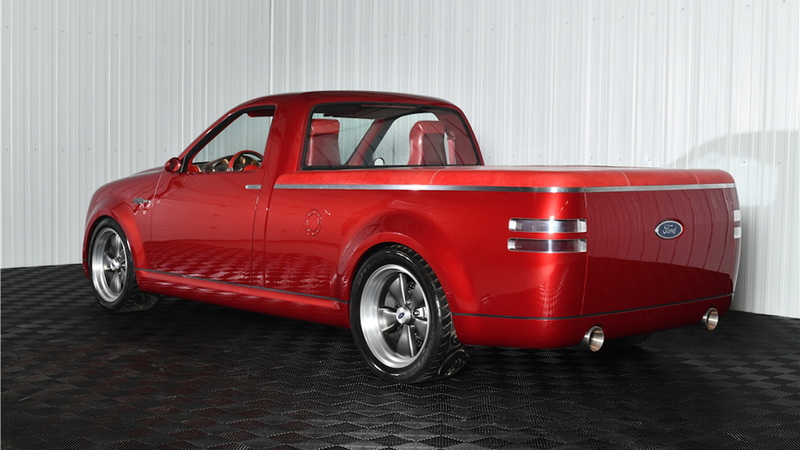 According to the Barrett-Jackson's description, this isn't just a retro-designed concept truck, it actually runs and drives. However, unlike the production F-150 Lightning of the time, the concept sports a 5.4-liter V-8 sans supercharger. The production truck boasted 380 horsepower, but it's unclear what the concept makes. A 4-speed automatic sends power to the rear wheels. Not that the horsepower figure really matters. The next owner won't be able to drive it much since it was never certified with the Department of Transportation or the EPA. Thus, it's not titled and it's ineligible for a title at that. Whoever ponies up to purchase the F-150 Lightning concept will need to be satisfied with the truck as a collector piece or driven on closed courses. The theme here is retro, as was the rage at the turn of the 21st century. 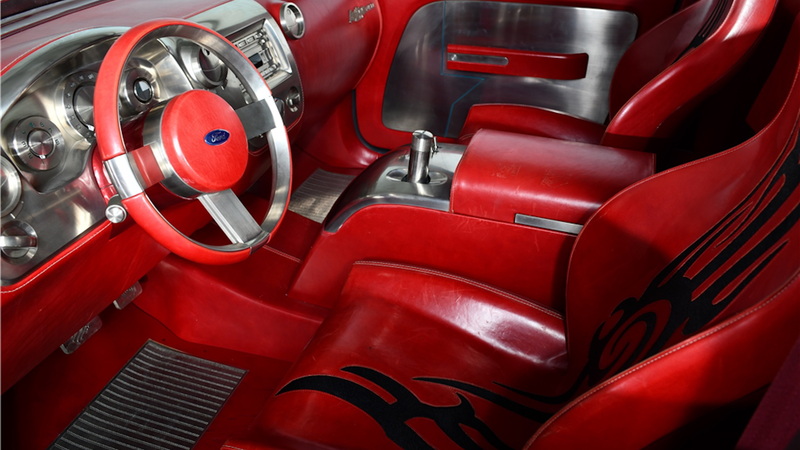 The bodywork, wheels, and tribal graphics recall late-20th century hot rods. Look closely enough and you'll notice a tribal pattern is even used on the tire tread. The pattern matches graphics on the pickup's bed and seats. The cabin is full of brushed metal and red upholstery and trim, which also lend themselves to a throwback look. Although Barrett-Jackson doesn't list an estimated sale price, Autoblog reported in 2012 that the concept truck sold at an RM Auction for $46,200. We'll have to wait and see if the pickup truck craze in the new-vehicle market has any sway on its value to collectors, though.